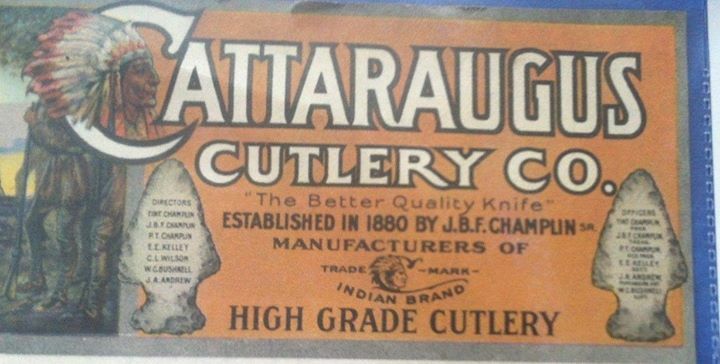 oMany photos associated with cutlery in the area surface on internet sites. 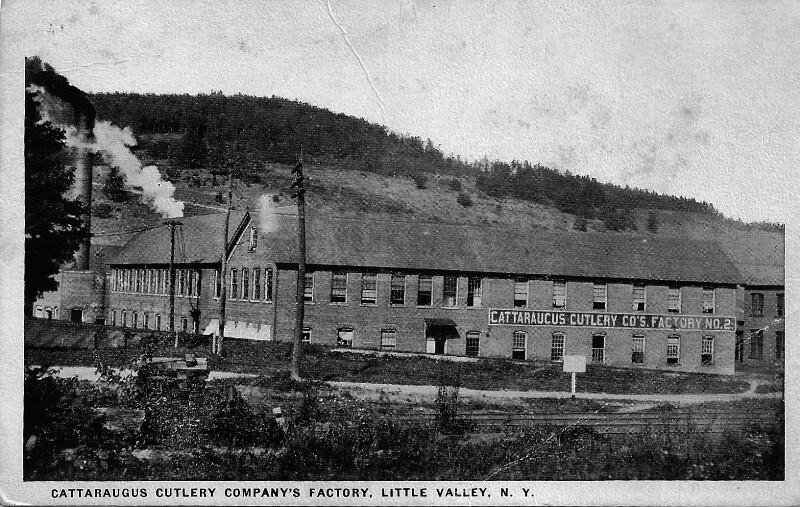 Among those are several related to the Cattaraugus Cutlery and or JBF Champlin in Little Valley, New York. 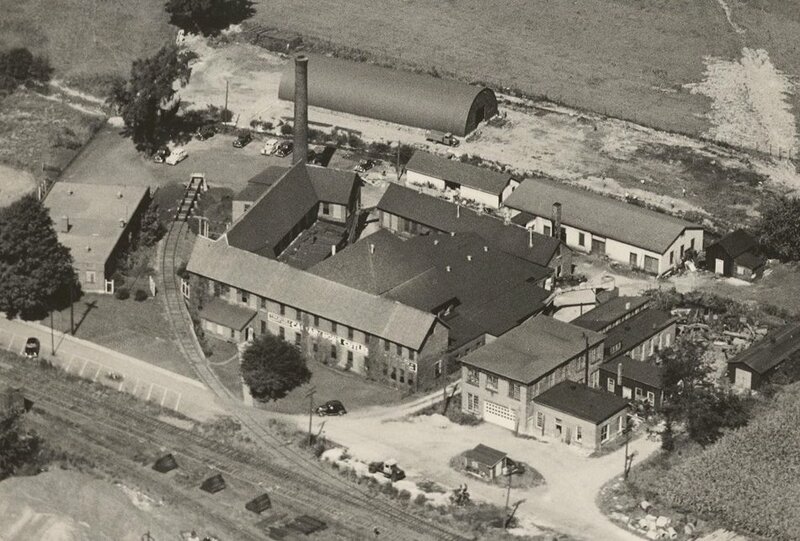 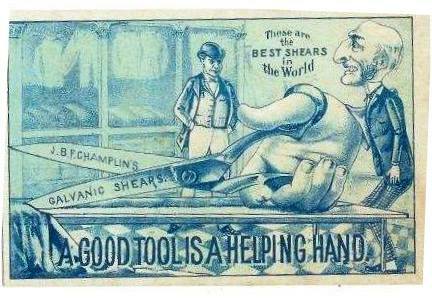 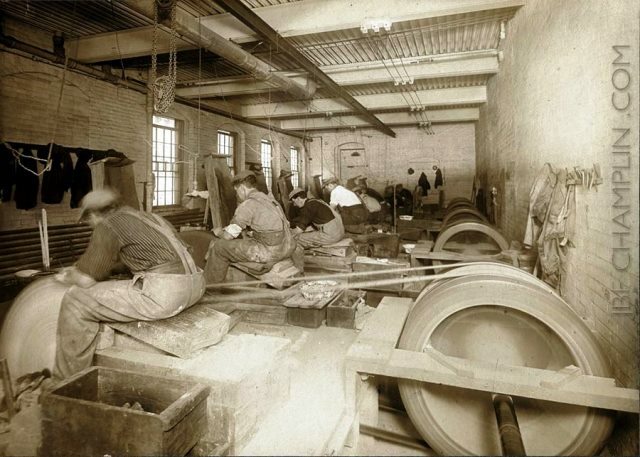 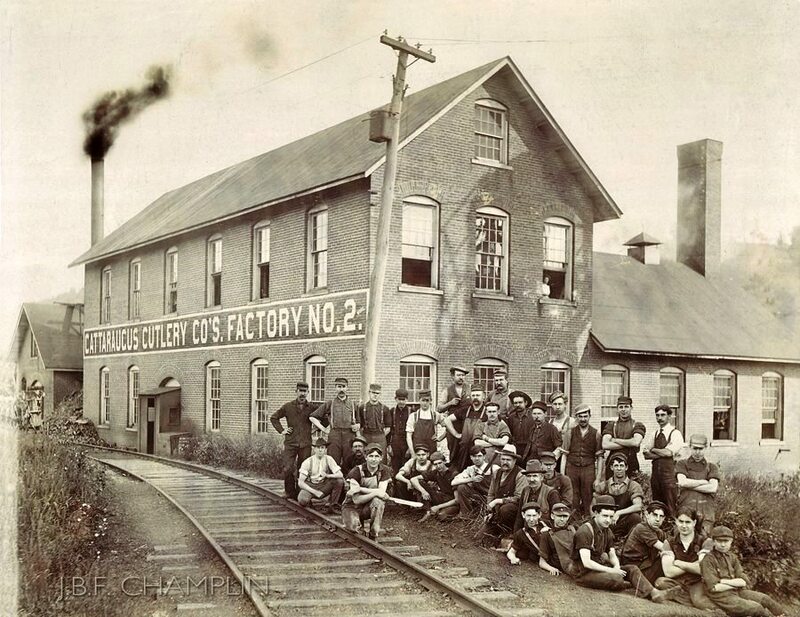 Some are of the workers, early buildings and the logos and/ ot the calling cards that were distributed during the glory days of the cutlery industry. 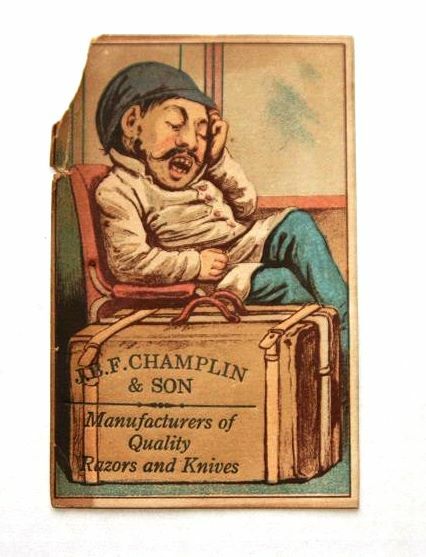 Many changes in names of the companies of Champlin make tracing a time line very tricky. 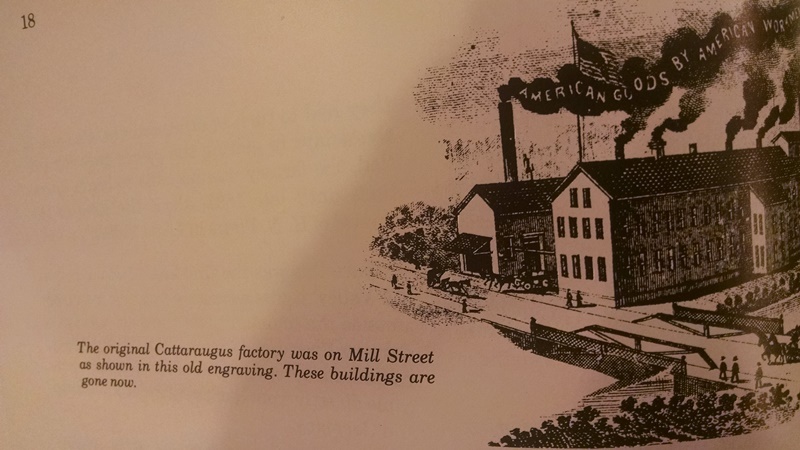 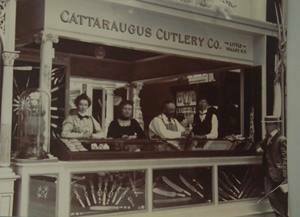 When the Case Brothers became involved with the knife industry first as salesment many more cutleries and names of businesses arose not just in Little Valley area but enlarging the circle of cutleries in the surrounding areas of the county as well as north and south of Cattaraugus County and beyond. 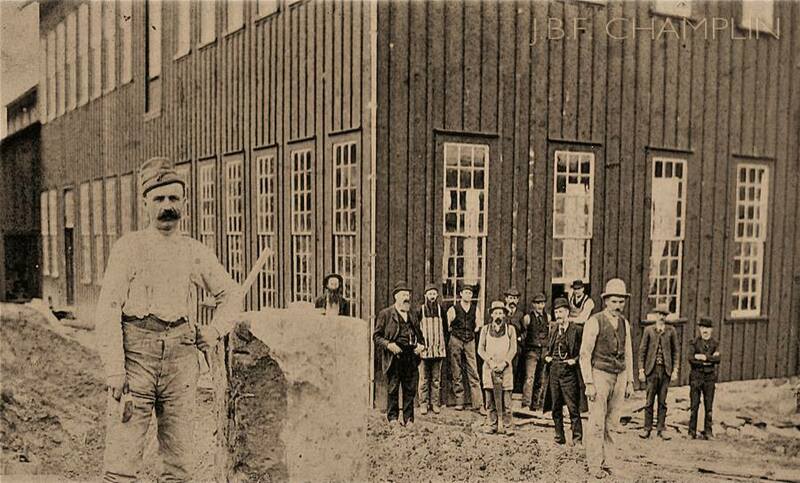 JBF Champlin provided the stablity remaining in the Little Valley area.